Did you know 79% of recruiters have hired someone by using LinkedIn? In fact, LinkedIn is the top choice for finding candidates by 94% of recruiters. According to a recent study, 55% of recruiters changed their minds about a candidate based on something they saw on their social media profile. 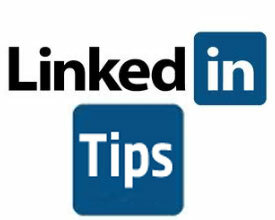 If you’re not on LinkedIn, then you may be missing out on major job opportunities. Develop a great Headline – Your LinkedIn headline shows up just below your name on your profile and represents your online brand. Since your name and headline are all a user will see when conducting a search on LinkedIn, make your headline count so the user will want to click on your full profile. “Marketer seeking opportunity” is weak, but “Consumer Products Marketer Seeking a Small Brand to Make it Big” tells your next boss that you plan to deliver. If you are currently searching for a new job, consider partnering with me to create a job-winning resume and LinkedIn profile. Let me help you shorten the length of your job search and get you on track to the career of your dreams. you are always coming out with some great stuff.